Are you hearing animals scratching during the day or at night? Unfortunately, you are most likely experiencing mouse or squirrel activity within your home. It’s not very hard for them to take advantage of cracks, crevices, and openings within your foundation and on your roof to wreak havoc to your valuables. Not only is their presence a nuisance, but it can be a health risk because of their excessive urine and droppings that easily spread. Differentiating squirrel and mouse activity is often hard to do, but is necessary for taking your first step towards elimination. In the New Jersey and Pennsylvania area, the most common species of squirrel is the Eastern Gray Squirrel. They can find their way into your attic by entering through fascia boards, shingles, and eaves on your home. They take shelter and create their nests, typically housing 2-7 squirrels at a time. 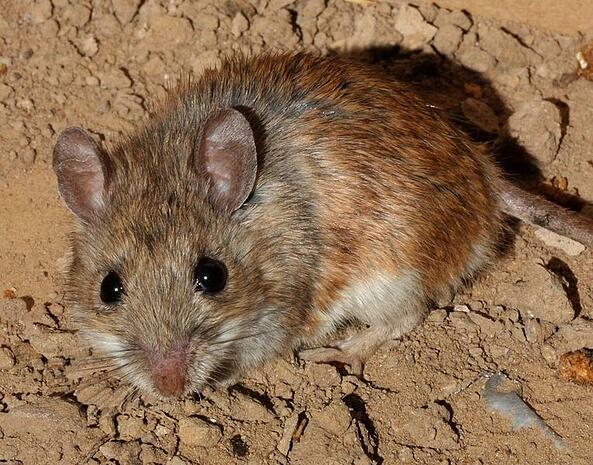 In the New Jersey and Pennsylvania area, you are most likely to find the House Mouse, Mus musculus, or the White Footed Mouse, Peromyscus leucopus, living in your home. The House Mouse and the White Footed Mouse are similar in appearance but can be easily distinguished by the color of the hair on the body. The House Mouse is light brown to light gray and uniform in color. The White Footed Mouse is light brown and is white on the underside of the tail, belly, and feet. Mice live in hidden areas such as garages, attics, lofts, and wall interiors, making them nearly impossible to remove on your own. Do you think that you have mice? Read below to help identify your infestation. How can I tell if I have squirrels? How can I keep mice and squirrels out of my home? 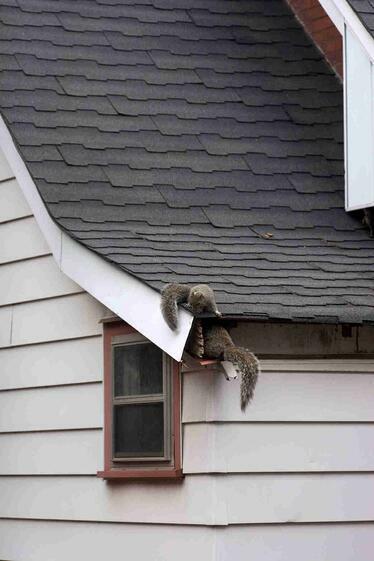 If you see signs of squirrel activity, it is imperative that you call a pest control or wild life professional. Squirrels can damage wires, insulation, any valuables in your attic, and cause uncleanly conditions by the urine and feces they leave behind. Perform a visual inspection of your home to find cracks and crevices where mice may be entering. Typical entry points are around the foundation of your home and garages. Place pantry items in Tupperware containers instead of the boxes that they are sold in. Remove dog or cat food that is left in open bowls overnight or when you leave the house and be sure to sweep your kitchen floors on a regular basis to remove small crumbs. They key to mouse prevention is to eliminate potential food sources. Mice only need a ¼ inch gap to enter your home so homeowners need to seal up any obvious gaps around entry doors, garage doors, and utility penetration points that are a ¼ of an inch or larger. If you experience recurring problems with mice, squirrels, or other rodents getting into your house, a permanent (and highly recommended) solution is available from Cooper Pest Solutions. Since rodents can squeeze into the tiniest of places, older home structures often have many gaps that rodents find very attractive, and this is how they enter your home. 1. Our pest experts will perform a thorough inspection to identify the squirrel and rodent issues at your home and we will create a customized plan to remove them and keep them out. 2. We will take care of your current pest issue. 3. We will exclude these pests from entering your home in the future. Our dedicated exclusion technicians will conduct trapping and wire mesh installation for low-lying areas. Perform sealing, capping, and metal flashing installations on the roof and in the crawlspace. Other solutions such as gutter guard may also be included for an additional charge. 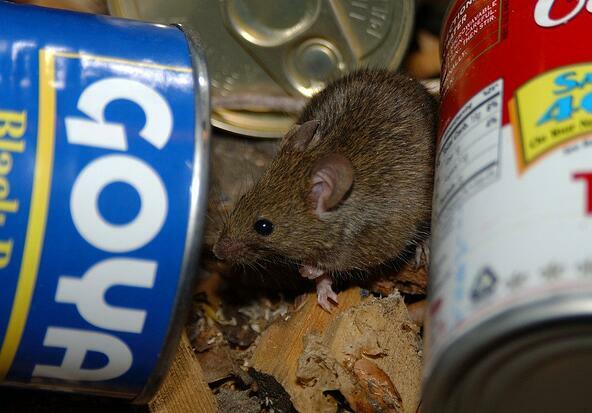 Depending on your needs, there are two service options that Cooper Pest Solutions provides for mouse control. A one-time service with a 90 coverage plan that deals exclusively with controlling an existing mouse problem. If you are concerned about squirrels or mice, please give us a call at 1-800-949-2667 or fill out this form for a free no-obligation evaluation.